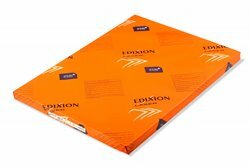 Edixion Laser is a woodfree uncoated, quality pre-print paper for personalised business communications. Edixion Laser is ideal for all personalised printing projects such as reports, presentations and corporate stationery. High quality premium business paper with high bulk and opacity.